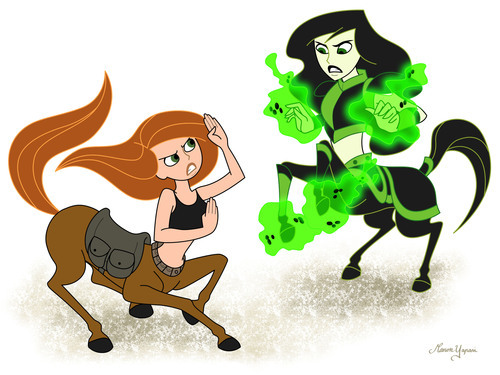 Kim & Shego. . HD Wallpaper and background images in the Kim Possible club tagged: kim shego disney. Wow! Talk about horsing around!